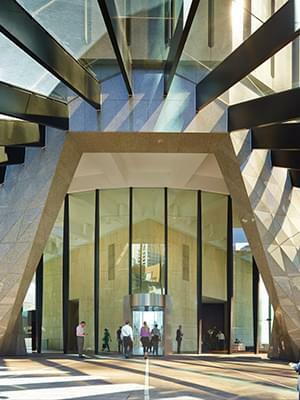 Riparian Plaza is the first multi-purpose building accommodating both office and residential vertical sectors is unique in Australia. The name ‘riparian’ is derived from Latin origins meaning ‘on or pertaining to the riverbank’ and reflects Brisbane’s respect and affection for its river. 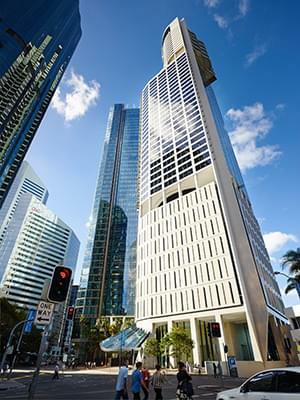 With its 45 degree orientation to the waterfront , Riparian Plaza is perfectly designed to parallel the Brisbane River and to preserve and promote views from all working and living spaces. Completed in October 2005, Riparian Plaza stands at an impressive 250 metres to the tip of the communications mast. 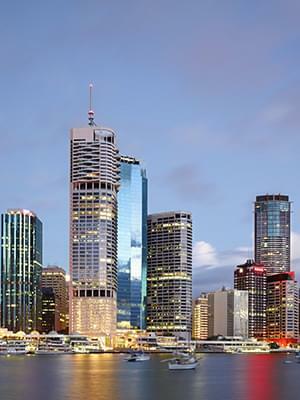 Designed by famous Australian architect Harry Seidler, the main objective was to develop a significant building on an important parcel of riverfront land. It would be his last major project. 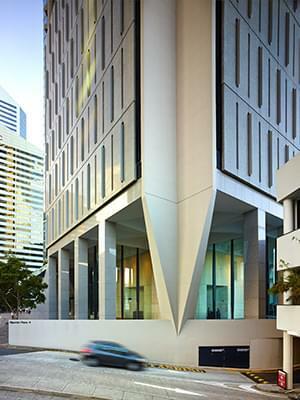 The outcome was the first dramatic expression of changing use in a high-rise building in Australia. Riparian Plaza has become an architectural landmark that set the benchmark in architectural expression, construction engineering, environmental design and innovative smart technology. 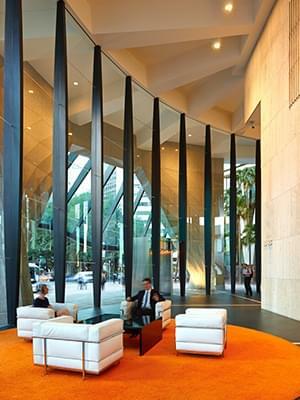 With its 45 degree orientation to the waterfront , Riparian Plaza is perfectly designed to parallel the Brisbane River and to preserve and promote views from all working and living spaces. Completed in November 2005, Riparian Plaza stands at an impressive 250 metres to the tip of the communications mast. 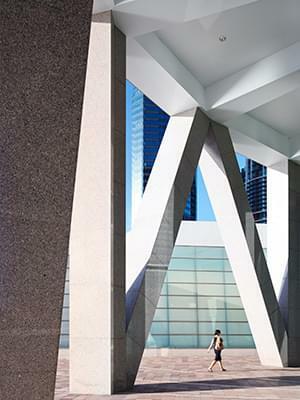 "Riparian Plaza will be a landmark for Brisbane for decades to come. 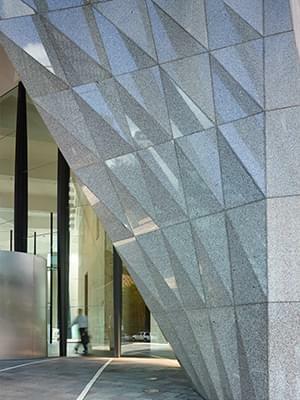 Riparian Plaza is the jewel in the crown for the location. 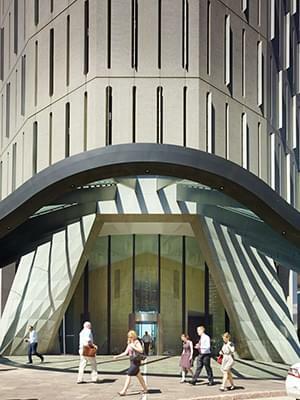 It is simply one of the best buildings I have ever designed."